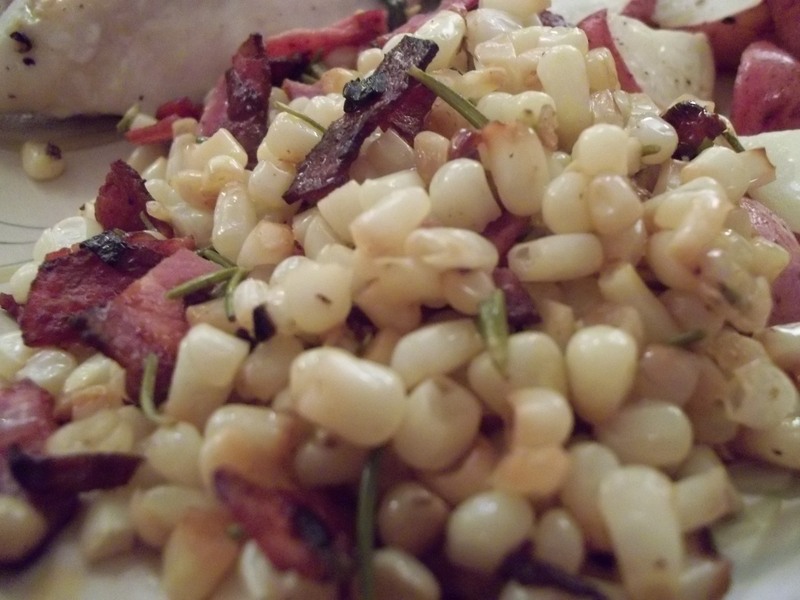 Savory, fresh, and just overall delicious! A perfect side for any meal. Half of an onion, chopped. 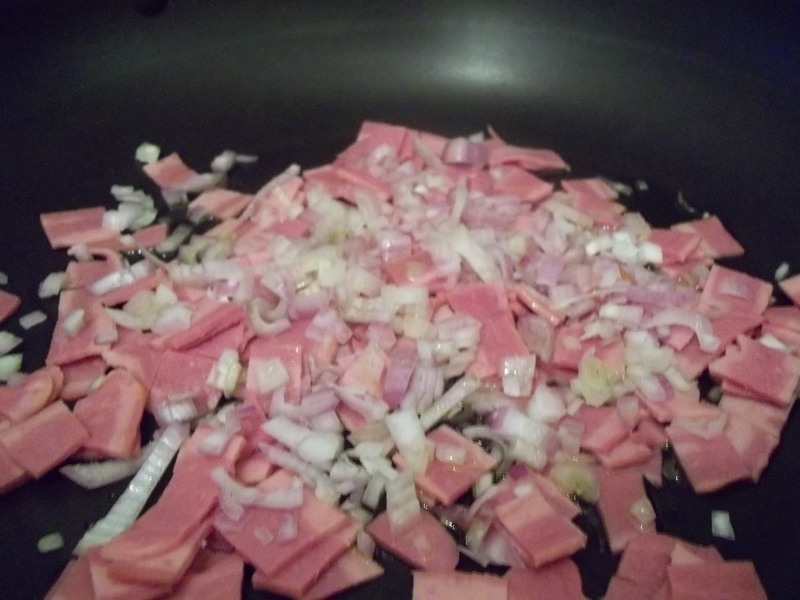 In a large pan, saute chopped onion and chopped bacon. Add a little bit of olive oil, and stir frequently. 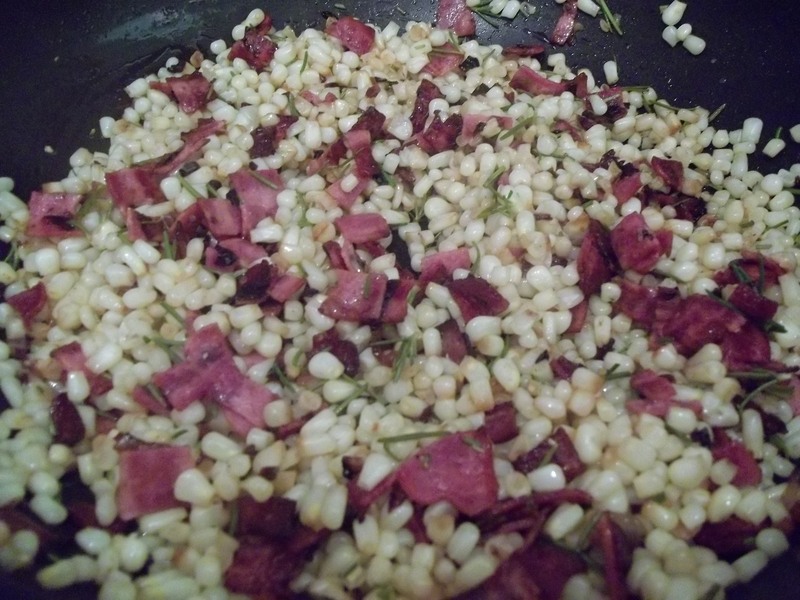 Then add a few tablespoons of chopped rosemary (this is the secret, must have ingredient). Stir in another tablespoon of olive oil and a few shakes of sea salt.